EASY texture & pname editing! WAD creators - DOWNLOAD THIS! A Doom/Doom2 WAD tool. Extract graphics and sounds. other stuff!. 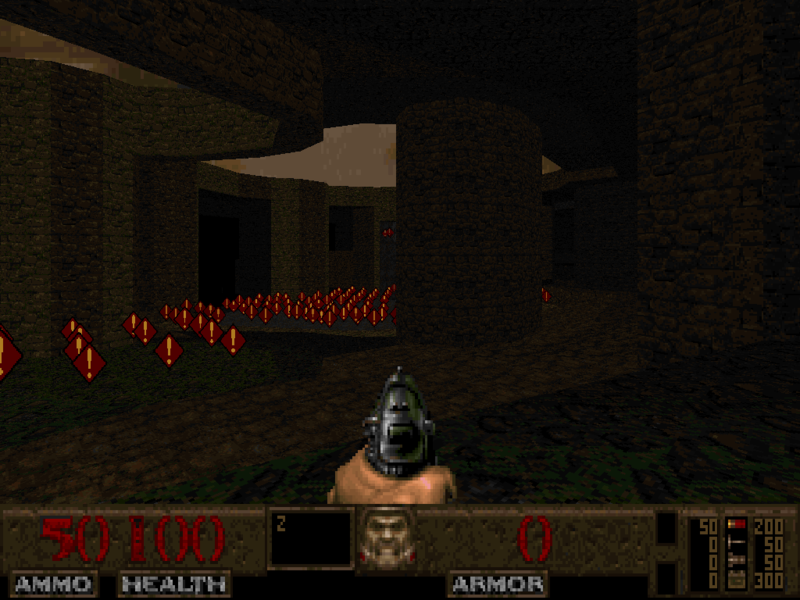 the same with the DOOM2.WAD. I WILL NOT GIVE ANY INFORMATION ABOUT WAD FILES, GO GET THE DOOM SPECS! suspicious! To get sure, view it by pressing RETURN. Bingo! write a GIF file. Thats all. file? No Problem. Start NWT. Using the search string again, typing 'd_'. resource. Just hit F2 to extract the damned thing to a RAW file. Quit NWT. Rename D_E1M1.RAW to D_E1M1.MUS - now you got the MUS file. to save to. Use the given name or enter a new one - WITH EXTENSION WAD. file EXAMPLE.WAD, you MUST select the resource STBAR in the dir first. choose the resource PS20A0, press SPACE and place it at position 32,64.
look at your new texture by starting Doom with -file thefile.WAD. a key, if you are not sure. It's not a joke. IMP-resource by typing 'troo' - press SPACE to mark this resource. your PNAMES-list as a RAW-file (F10). Fine. selected. Press F5 to insert your PNAMES-resource into your DOOM.WAD. Next step - find the texture resource called TEXTURE1 by pressing ALT-T.
first patch (DOOR2_4) at 0,0 and the other patch (TROOxxxx) at 48,48.
really NEW textures. Have fun!